There’s something new going on with Flex Yoga. And with summer fast approaching, now’s the time to join us in embracing this super-charged program. 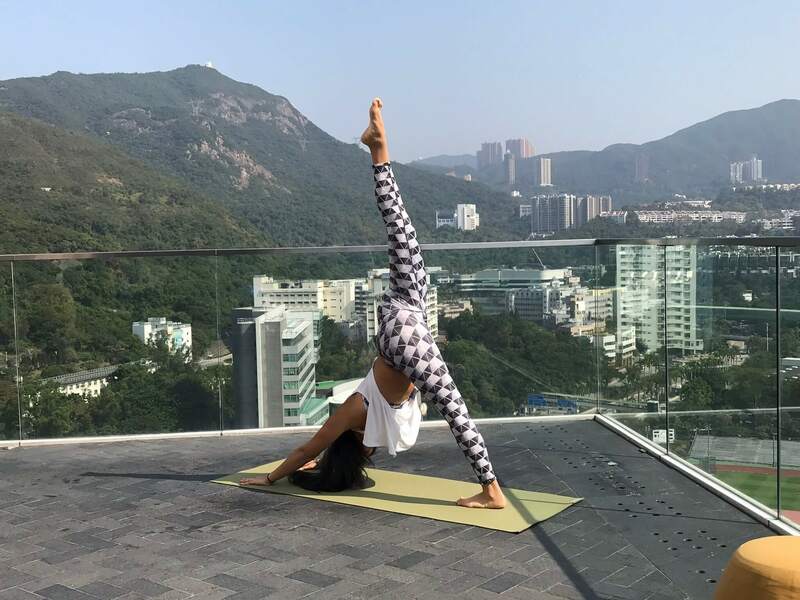 Here, yoga director Rebecca Wong tells us how (and why) we’ve ‘Flexed up’ our yoga offerings, so you can really feel the power. What are these exciting changes, then, Rebecca? At Flex, we are not only just about making changes to how we look, but mostly, about the way we feel. Life really improves when we feel strong and healthy. So, people, with our new yoga program, expect to sweat. Flex Yoga is now the place for power yoga. Forget the old labels. This is an amped up Flex yoga. We have new classes that will challenge students’ strength, endurance, and breath, all through dynamic movement. Can you tell us about some of the class styles? Power Flow Yoga – Vinyasa Flow yoga injected with a bit of sweat and power. Instructors will incorporate drills and skills to deepen a practice. Power Sculpt – A fitness approach to yoga. Classes will incorporate light weights and bands for added resistance in their practice. Hot Power Flow – Be ready to sweat! Hot Power Flow will offer a series of power movements with breath in a heated space. What makes these classes different/better from anything else offered in Hong Kong? We want people to know and recognize FLEX YOGA, in that Flex Yoga is something people talk about when we talk yoga. We are a premier fitness studio – and our yoga, therefore, needs to be fitness and strength based. It’s a perfect synergy of the programs on offer. Why is Flex doing this? Because we are not just the Pilates and barre studio. We are Flex Studio – a comprehensive group. We are the best in all disciplines and this includes everything we offer. Yoga is not an addition, but an integral discipline that Flex offers.